Aspila Topaz LITE (KTS) : Aspila Topaz LITE is a Digital Keyphone System (KTS) which incorporates performance and intelligence into a simple design. Open up your company's communication capabilities and be amazed. 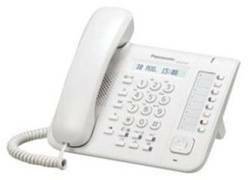 - Key Phone 3150 & Digital Phones 8150/8180 can be used as console for operator to receive incoming calls from CO-line. It will help the operator to handle calls easily and perform other tasks.